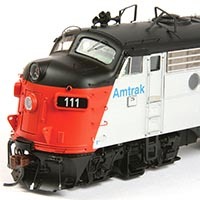 Enjoy our in-depth reviews of great new model railroading products in a variety of popular scales, presented by the Model Railroad News staff. 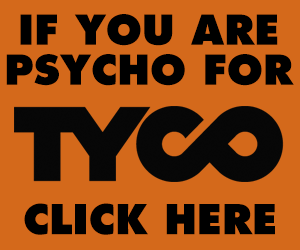 Please contact Editor Tony Cook to have your product considered for review. 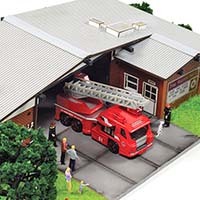 This new Menards Collectibles built-up fire station is available in HO and O scale, and includes figures and vehicles, as well as a number of details that add to the product’s value and enhance the building’s eye appeal. 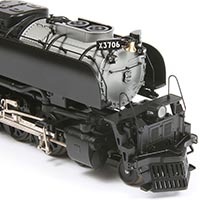 Athearn’s Genesis FP7 isn’t just another F-unit model. As my closer examination of the model reveals, it’s a high-quality HO scale model characterized by accurate road-specific details with high-end decoration and the usual quality Genesis drivetrain. 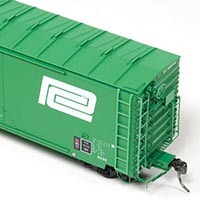 You won’t find a better RDC model that offers such fine detail right out of the box. From its scale proportions, road-specific features, and smooth engineering and performance, this model clearly stands up to its claim of being the “absolute” example of a Budd RDC. This Westerfield Auto Boxcar kit reproduces an early steel construction example. The provided history included with Westerfield’s kit notes New York Central (NYC) began operating all-steel boxcars with an American Car & Foundry example in 1912. This husky Penn Central U33B example from General Electric’s U-boat production shows off the stubby pug nose that became common in the 1960s. 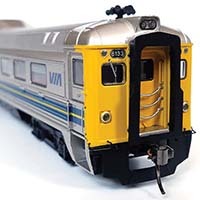 The model is available from Atlas in standard DC, as well as DCC-sound versions. 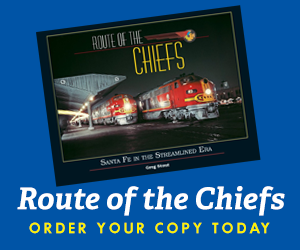 Has Penn Central become that popular? 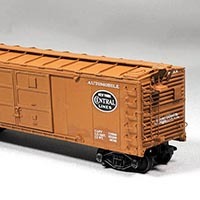 Moloco Trains, a maker of high-quality HO-scale freight car models, apparently cannot keep up with the demand for at least one road name offered for its 50-foot boxcar release. Diecast Masters offers something unique for the HO market. 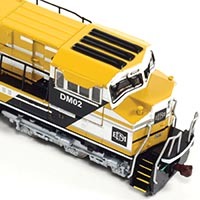 The company recently delivered an HO-scale SD70ACe Tier 4. Of special note, this 1/87 model includes no drive mechanism, making it a static display reproduction. 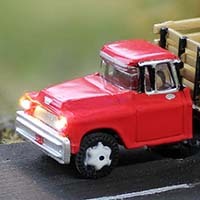 Woodland Scenics now offers a variety street lights, wall lights, interior lighting, light hubs, power packs, and at least 16 different vehicles with lights already installed. 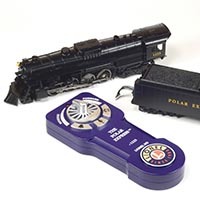 Lionel’s HO Polar Express Berkshire 2-8-4 steam locomotive model arrives assembled and comes with a LionChief remote control. 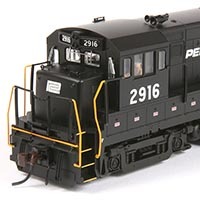 The model will operate under standard DC, DCC, as well as with its provided remote. A six-pin cable and drawbar connect the locomotive and tender for operation. The new Trix HO scale 4-6-6-4 represents Union Pacific’s final group of Challengers built between 1942 and 1944. Smooth performance, an abundance of sound and lighting effects, and optional smoke generators are the hallmarks of this museum-quality model.